Fallout Shelter is finally available for Android devices. The game is made by Bethesda Softworks LLC and is available for iOS since June this year. 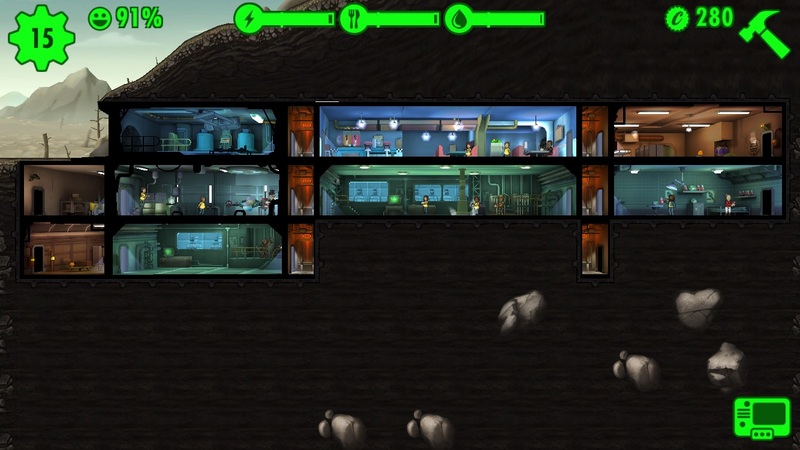 Bethesda has presented a surprise to bridge the time until the release of Fallout 4: In Fallout Shelter for smartphones and tablets players must build bunkers – and pay attention to many things, that usually are not so important in the Fallout universe. Anyone who hoped Bethesda Softworks would bring fallout shelter a typical game of the series on smart phones and tablets, is indeed disappointed. It is a mix of Tiny Towers and The Sims, but has lots of charm and depth. In addition, for a freemium title it holds amazing back with solicitation. Want to know more about Fallout Shelter? Read the complete Fallout Shelter Review here. This Review was done for the iOS Version of the game, but works also fine for the Android Version. In the iTunes App Store Fallout Shelter is available for free. Here the game for iPhone, iPad and iPod touch can be downloaded, but iOS 7 or later must be installed on your device. Don’t forget to follow mobilesector.net on Facebook or Twitter. You can also subscribe by email address to this website and receive notifications of new posts by email. You can find the subscribe field on the right site of the website. Be the first to comment on "Fallout Shelter available for Android"